Our employees are our most valuable assets. The high calibre of our employees is a key differentiator in the increasingly competitive real estate sector. Aligning our people with our company values and habits is essential to create shareholder value (see our values and habits). Reviewing processes, policies and systems to ensure compliance and efficiencies. In the review period, we appointed a new CEO, CFO and human resources manager who have brought new focus to managing the culture and implementing the employee value proposition. We continued to invest in attracting, developing and retaining key talent while creating career opportunities. Talent management remains a focus area and our key objective is to enable employees for optimal deliver, job satisfaction and personal growth. In the past year, senior leadership appointments have strengthened our strategic focus and operational efficiency (discussed in the chairperson’s review on page 10). In the latter part of the period, most marketing functions were internalised. Our workforce increased by 10.5% to 126 employees (2017: 114) at 30 June 2018, mainly due to organic growth and internalising the marketing function at Garden Route, MooiRivier and Eikestad malls. We also internalised the centre management team at Mall of Africa. 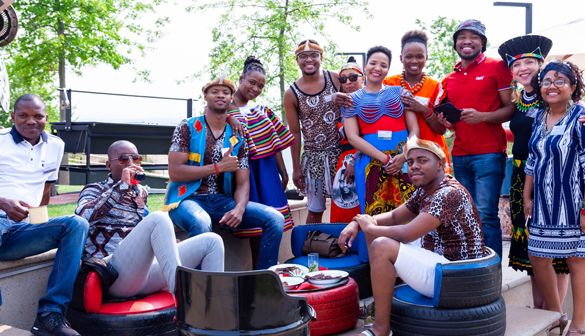 Our expanding workforce created opportunities to further improve our employment equity (EE) levels, mainly through recruitment, internal promotions and transfers to create capacity for appointing historically disadvantaged individuals (HDIs). Reflecting our commitment to improve EE ratios, 57.1% of new appointments in the past year were from African, Coloured or Indian groups. Appointments outside of prioritised groups were individually approved by the CEO. These appointments were only approved because it was a scarce skill, or a critical role that had to be filled urgently and where no suitable HDI candidates were found. HDI employees in management positions increased slightly to 61.8% from 59.3% in the previous year. This is based on employees on occupational level 1 to 4 and includes white females. Total employee turnover for the year rose to 20.3% (2017: 11.7%). Exit interviews follow all resignations and the outcome of these interviews is presented at monthly exco meetings. The most frequent reason for resigning was better career prospects, while two senior employees emigrated to the United Kingdom. An underlying concern for employees was uncertainty around certain leadership positions. Our remuneration policy, specifically the performance indicators of our long-term incentive (LTI) scheme, supports implementation of our strategy. With the REIT conversion, LTI performance conditions have been realigned to the revised strategy (see remuneration report). Contribution plans have been created for each employee, linked to KPIs agreed with their line manager. A bottom-up and top-down approach is used to determine individual KPIs, ensuring alignment with our strategic KPIs. Performance reviews drive a high-performance culture. The mandatory annual 360° performance assessment for each employee includes an evaluation on behavioural, role-related and specific criteria as part of a self-assessment exercise, with line manager and peer reviews. These results are consolidated, and an employee’s rating is used in the annual salary review process. Discretionary bonuses are paid in October based on actual performance for the financial year ended 30 June. The practice of using role profiles to create contribution plans, defining deliverables as well as measurements, has been embedded in our culture over the past year. Employees are starting to experience the benefit of clearly defined performance objectives linked to the company strategy. Self-development is a standard KPI and employees are responsible for designing their personal development plans. Each employee’s self-development is part of the annual performance evaluation process. The growing number of personal development plans being finalised and implemented in the past year reflects a culture of growth and development. * Training hours include after-work hours that employees invest in their studies, but exclude study leave hours where we have not paid for the training. Formal and informal training follows the 70/20/10 principle: 70.0% is on-the-job training, 20.0% is channelled through mentorship and 10.0% is addressed by customised training. Each business unit has identified its training needs, for which we are developing specific solutions. While training hours increased by 80.2%, training spend decreased by 5.7% as a number of employees received bursaries and we paid for medium-term specialised training courses. Similarly, as much of the training we invest in is long term, the number of training initiatives decreased by 63.3%. Our policy is to promote internally where possible, and retrain when required. Although our flat hierarchical structure limits vertical career promotions, deserving individuals are given additional responsibilities to support personal development, with commensurate remuneration. As we expand, we are confident that more opportunities for promotion and career development will emerge organically. Frequent social events, creating a culture of affinity and positive working relationships. The group seeks order. Employees respect rules and value process, systems, stability and efficiency. 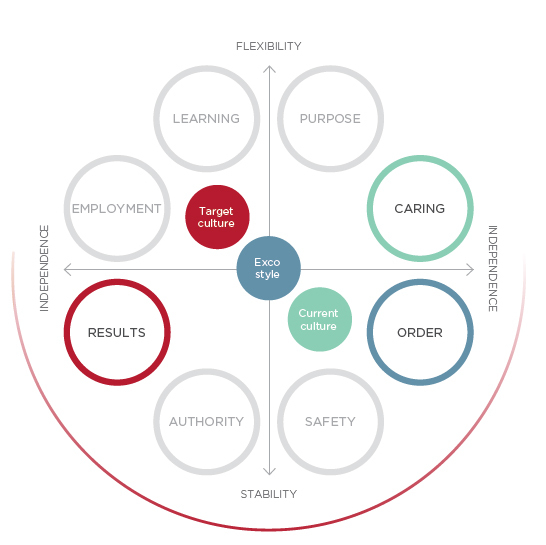 The next step is to align our existing organisational culture and exco management style with the target culture to fulfil our values and achieve our strategic objectives. Jacob Maleka (handyman) proved himself ready for more responsibility and has been appointed senior handyman. He is currently in a structured training programme with the assistant operations manager to transfer specific skills. Post year end, he was promoted to operations assistant – technical. Congratulations Jacob! 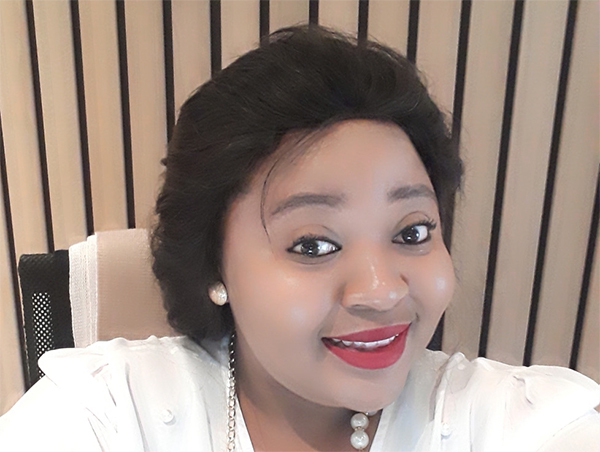 Ilanika du Plessis (centre financial administrator) attended multiple courses through the University of Cape Town as well as a management course through the South African Council of Shopping Centres, preparing herself for more responsibility. Lunga Nkosi (operations assistant) is being trained for more complex tasks in the team, while Delsia Moloi’s role as property administrator/personal assistant is growing to include lease administration. Shadrack Sedumedi (senior operations manager) started at Attacq in 2014 as a candidate in the Royal Bafokeng programme. He was subsequently permanently appointed as junior building supervisor and has since progressed from junior operations manager to his current position. Tumi Sebeela was promoted from helpdesk administrator to facilities administrator due to her willingness to assist where needed, demonstrating what collaboration and teamwork is all about. Lindo Twala: I started working at Attacq as a temporary cleaner/caterer and, in November 2015, I was offered a permanent position. Due to my previous experience as a receptionist, I was asked to relieve the full-time receptionist during lunch breaks. Through my willingness to learn, I gained valuable knowledge and skills. On 1 July 2017, I was permanently appointed as Attacq’s receptionist. I have learned so much through Attacq and am grateful for the opportunity to grow.